This painting was inspired by my friend Lesley Powell. http://www.lesleypowellart.com She’s an incredible artist from Charlotte who does beautiful landscapes and still lifes. 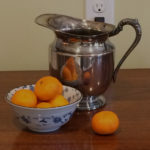 She recently posted a painting she’s working on with a silver pitcher in it. In my quest to find subject matter for this daily painting challenge, I realized I have one of those pitchers! Yay – one more day resolved. It was fun! I wavered between handling it with a brush or a knife, and compromised on a combination. So another day down in my 30in30 Challenge and Strada Easel Challenge. I’m learning lots and it’s a great way to get your head back into painting after the holidays! 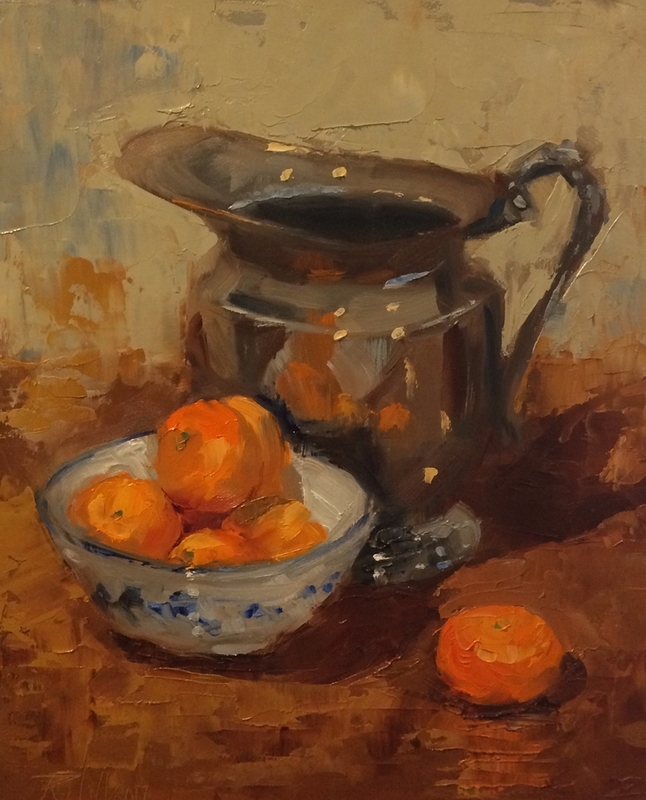 This entry was posted in 30 in 30 Daily Paintings, Still Life Painting, Strada Easel Challenge and tagged 30 in 30, Charlotte nc, painting from life, palette knife painting, Still Life, strada easel on January 6, 2017 by Robin Wellner.